This transmission spur gear is roughly the diameter of a large beverage can and weighs 1.04 lbs (0.47kg). Spur gears are one of the simplest kinds of gears. 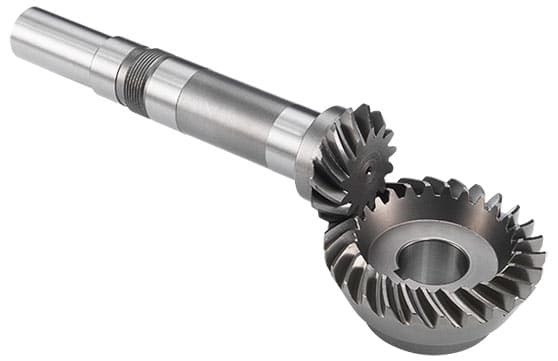 These precision made gear products are used in a number of low speed mechanical systems. The application of this spur gear is within a simple motion control system, requiring efficient power transfer and open noise tolerance restrictions.